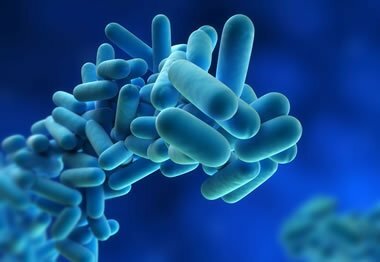 When proper measures are taken to monitor and control legionella bacteria, outbreaks of Legionnaires’ disease should not occur. However, 2015 saw 15 significant cases of the disease reported from various locations around the world. The first significant outbreak of Legionnaires’ disease in 2015 was seen in New York City, where 12 residents in the Bronx were affected. Cooling towers were suspected to have been the cause in this case. Elsewhere, Valencia in Spain was the site of an outbreak in March, and Boldon, UK was reported to have been the site of five cases of the disease in April. Orlando in Florida also experienced a case that same month, when a hotel was being investigated as part of an outbreak that saw three former guests fall ill.
Further cases occurred throughout the summer, in New York City, Christchurch in New Zealand and Lacey in Washington, USA. New York City was affected once again in a major outbreak in July, when 120 people contracted the disease, leading to 12 deaths. A cooling tower was once again found to be a source of the Legionella bacteria. In August, 12 more deaths were reported at a nursing home in Quincy, Illinois. A further 30 suspected cases came to light in the San Quentin State Prison in California that same month. Canada, Portugal, America and France also saw outbreaks of Legionnaires’ to some degree throughout the remainder of 2015. The turn of the year was marked by a severe case in Spain, where over 230 cases were reported near Manzanares. A notable case was reported in February this year which seemed to confirm the first-ever person-to-person transmission of the disease from an outbreak in 2014. A man who was exposed to Legionella bacteria from contaminated cooling towers at Vila Franca de Xira, Portugal, died of the disease, and his mother caught it while caring for him. She later died as well. An outbreak was also reported in Sydney back in March, but no cause has yet been found for this. The city was also the source of a second unrelated outbreak the following month, and once again the focus has been primarily on cooling towers. Five cases have been reported, with two people said to be seriously ill as a result. It remains to be seen whether the total number of significant Legionnaires’ disease outbreaks worldwide in 2016 surpasses the 16 seen last year. It does indicate how rare such outbreaks are, but a single outbreak still has the ability to affect many people.